and you will come again. Our web-site is our catalog. It is too costly to prepare and publish catalogs compared to using the Internet. Catalogs become quickly outdated. The Internet is cost effective and responsive to our current needs. Easy to maintain and update. We are continually adding more graphics and photos as higher tech modems, Internet lines, and computers can handle them without tying up a lot of download time. We do not have all items listed on our website yet. If there is something that you need, but it is not listed, please let us know. We will respond with prices, a quote, or will try to help you find a source to meet your needs. These 9 x 7 mm stones were mined in China. 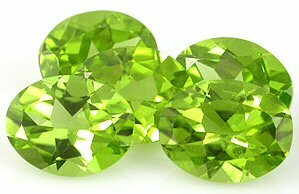 The stones are eye clean to loupe clean and are of a rich peridot color. Does not include shipping and handling costs. We pass the savings onto you. We have a small limited supply. So do not miss out. Comes with two high quality foam pads in each box. One pad is 1/8-inch thick and the other is 1/4-inch thick. 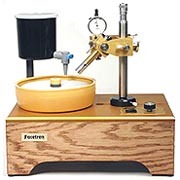 Each foam pad can easily be removed to accommodate high-depth gemstones. These 1½" x 1½" x ¾" Gem Boxes are an EXCELLENT way to display, store, and protect your gems and other valuables. For that SPECIAL Someone or Yourself. 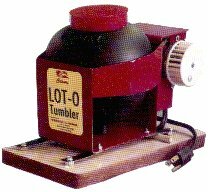 $199.95 We highly recommend this vibratory-type tumbler for shaping and polishing rocks. We believe this is the best, easiest, fastest, most efficient, economical tumbler for the price. It comes complete with grit and "Rapid 61 Polish" to do one load. However, We recommend paying an additional $21.95 for the the LOT-O-GRIT PACK with "Rapid 61 Polish" that will do 20 to 25 batches. 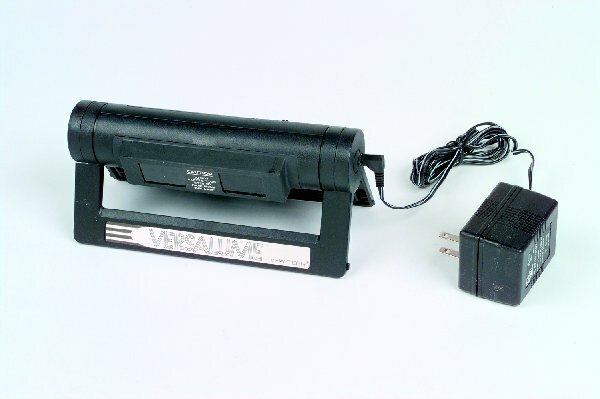 Please specify in your request and add additional shipping and handling costs for 5 pounds shipping weight. 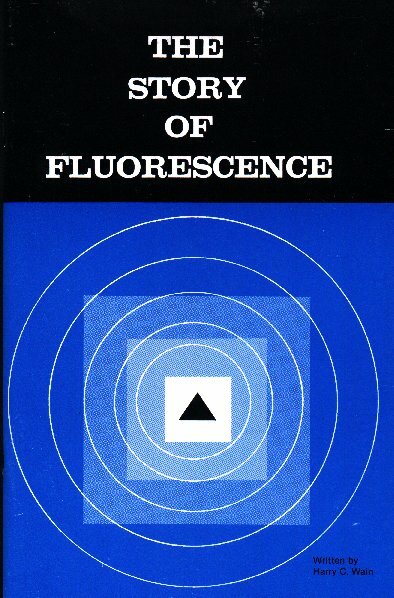 This particular Model PP-FLS will provide both shortwave and longwave flourescent light. This is a FUN Lamp to play with and prospect with. 100% of the face value can be applied towards the purchase of gemstones, jewelry, lapidary equipment and supplies from Jack Slevkoff's Prized Possessions. If full face value is not used in a purchase, the excess amount up to 25% of the certificates value will be refunded upon request in cash when the order is placed. All gift certificates have a 12 month redemption period from date of issue, otherwise, after 12 months, will expire with no value. These GIFT CERTIFICATES can be purchased from Us at face value. An excellant gift for that "SPECIAL" someone. from Apatite and Amethyst to Rubies and Sapphires. Shipping Weight is 50 pounds. Shipped in 2 or 3 packages. Add $67 for Shipping and handling costs if within Continental USA. Wires -- Wire Transfers are a quick way to make payment especially for those who are outside the US or usA. Routing and Account information may be provided upon request. Be sure to get your order in early. The terms " Cab " (a noun) or " cabbed " (a verb or adjective) are short forms of the word Cabochon which describes a stone having a rounded surface. In ancient times most stones were polished cabs. Most opaque stones and opals today are cut, shaped, and polished into cabs. Opals are some of the most beautiful and interesting cabs available. 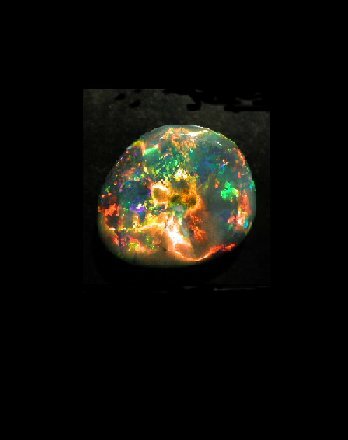 The opal itself is composed of noncrystalline hydrous silicon dioxide usually having more than 1 to 2% water content. Whereas, quartz which also is composed of silicon dioxide is crystalline and contains less than one percent water. Yes, It is hard to believe there is water in them rocks, but there is. Other stones usually cut into cabs are jade, jasper, moonstones, turquoise, rhodonite, rhodochrosite, chrysoprase, labradorite, lapis lazuli, sodalite, malachite, agates, and various chatoyant stones oriented and cut to show stars or cats-eyes. Stones having stars or cats-eyes also fit into another group of stones called phenomenal stones which means having unusual visible characteristics that are exceedingly remarkable or extraordinary. Faceted stones have flat faces on the surface of the stone called " facets. " Most transparent stones are cut with facets to bring out the brilliance and color and in some cases to disperse the light which enters it into various colors of the rainbow called dispersion. Some stones are Carved and make nice broaches (also spelled " brooch "), pins, pendents (also spelled " pendants "), ornaments, or displays. Sometimes these carvings are sought after by collectors as works of art or for their historical nature. Rare, unusual, collector stones are stones that the general public does not know exist or are too soft to use for jewelry. These stones are usually owned or bought by a small group of individuals who are connoisseurs of gemstones or like to own the unusual. Often times, the largest known may be less than a carat in size. They may be scarce or rare but may not be expensive. For example a 0.15 carat hauynite may cost only $55. Hauynite does not normally get much bigger than this. Synthetics, simulants, and imitations are man made. Synthetics have the same chemical and physical characteristics of the natural gemstones but are produced by man in laboratories. 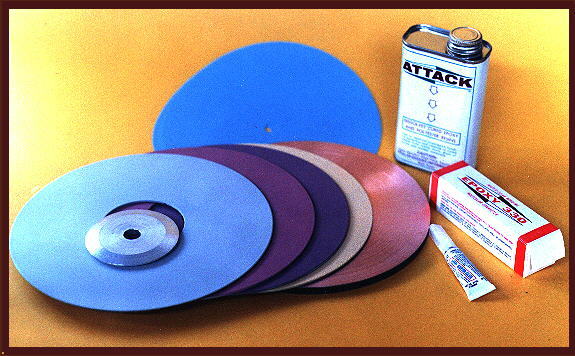 Synthetics are not classed as imitations, but must be designated as " synthetic ". Even diamonds have been successfully synthesized since 1955 and are now becoming profitable in the gem market. Whereas, simulants also called imitations do not have the same characteristics, but are made to look like the natural gemstone. Gem rough are stones that are capable of being cabbed or faceted but are still in their natural rough state. No refunds will be given on items altered or used. Special! Now offering 20X face for pre-64 US silver coins in trade for gemstones. at left side of screen, if you haven't already. Jack Slevkoff's Prized Possessions. All Rights Reserved.